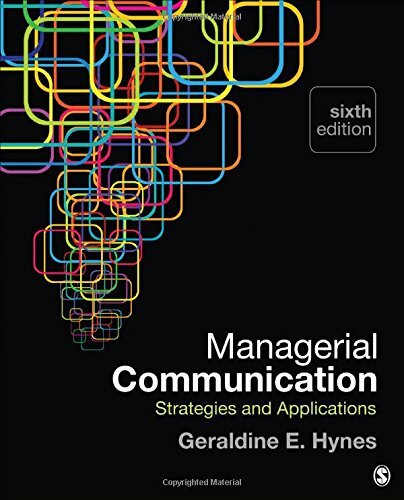 Managerial Communication: Strategies and Applications focuses on communication skills and strategies that managers need in today’s workplace. This book continues to be the market leader due to its strategic approach, solid research base, comprehensive coverage, balanced examination of oral and written communication, and focus on managerial, not entry-level, competencies. In the Sixth Edition, author Geraldine E. Hynes preserves the book’s key strengths while reflecting the realities of the contemporary workplace.